In the heart of a tiny village lost in the middle of the vineyards, you have a rendezvous for a dinner show which is really worth the trip ! Regularly praised in the newscast and reputed far beyond the Aquitaine borders, Le Saint-Sabastien has been playing to a full house since 1996. 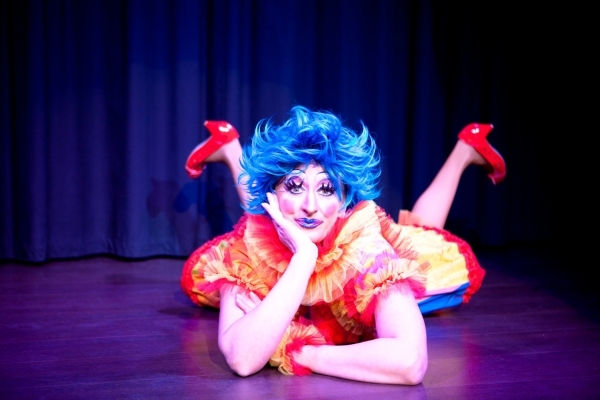 The secret of such success is very simple : a warm and sincere welcome, a generous and refined cuisine, and, last but not least, a transformist show which counts among the most surprising and mind-blowing. 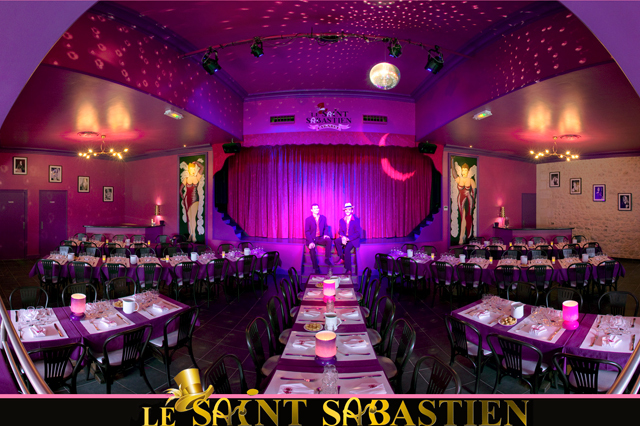 Le Saint-Sébatsien also hosts the TAGADA Bar which is a small private night-club in the older part of the cabaret. It offers every Friday evening a karaoke party where all kind of people meet, a granny and her grand-daughter, the winemaker, the local châtelain, foreign tourists, people from Bordeaux who have come to relax. The atmosphere is casual and everyone tries more or less successfully to sing a song with a « tagada » strawberry cocktail not far from the suffering vocal cords !